After Kamchatka Province Governor Mr.Ilukhin visited ROK last week and once again amazed environmental community which is extremely irritated with his consistent desire to destroy Kronotsky Zapovednik (Strict Scientific Nature reserve), which was declared a World Heritage Site for its unique flora and fauna and famous geysers that rival those of Yellowstone. He wants to build a cascade of hydropower plants on pristine Kronotskaya River and develop extensive tourist infrastructure and a fish farm in the Kronotskoye Lake. According to official reports now he has backing from some Korean investors. The following story was published on http://poluostrov-kamchatka.ru on April 5th. Korean investors are ready to take part in realization of socially-significant projects in Kamchatka. More than 10 proposals from the representatives of South Korean business were received in address of the delegation of Kamchatka in the way of the presentation of investment potential of Kamchatskiy krai in Seoul, Republic of Korea. On the 3rd of April the delegation headed by the Governor of Kamchatskiy krai and the Chairman of Legislative Assembly of Kamchatskiy krai represented the most significant projects of the peninsula development to Korean side. The head of the region stressed that the authorities are interested in attraction of investments in economics of the peninsula: in agriculture, energy, new fields development, and development of infrastructure. The delegation of Kamchatka presented three main projects of development of the region: complex development of energy of Kamchatskiy krai, development of the system of water supply and water disposal, and building of year-round international ski resort. The greatest interest of Korean side was attracted by the projects of building of Kronotskaya hydroelectric power plant for 230 Ьуwatt and the largest in the world tidal power plant in Penzhinskiy region. “There are the highest in the Pacific ocean tidal waves in Penzhinskaya bay – up to 30 meters. Building of the tidal power plant will give us an opportunity not only to provide electricity to Kamchatskiy krai, but also to supply electricity to the countries of Asian-Pacific region, – director of JSC “Fund of development of energetics of Kamchatka” Vladimir Kudryashov told. He noted that there are technologies in Korea making possible to accumulate energy and transport it in accumulators. “Besides next to the tidal power plant we are planning to build a liquefied hydrogen producing plant. Everybody knows that this is the fuel of the future and it undoubtedly will be in demand,” – Vladimir Kudryashov said. Representatives of Korean business agree with him. According to potential investor of the project of Kronotskaya hydroelectric power plant building, representative of Korean corporation of hydro- and atomic energetics, Mr. Lim, all modern technologies, used in Korea nowadays, may be employed during realization of this project in Kamchatka. “We are very interested in this project. Surely to make a decision of building, we need to work out the project, but I’d like to say that hydro energetics may be quite profitable,”- Mr. Lim noted. Among key Kamchatka projects was the project of ski resort building on the basis of four grounds: Moroznaya mountain, Avacha volcano, Topoloviy range and Petrovskaya bald mountain. This project was supported by the Federal Agency of tourism. 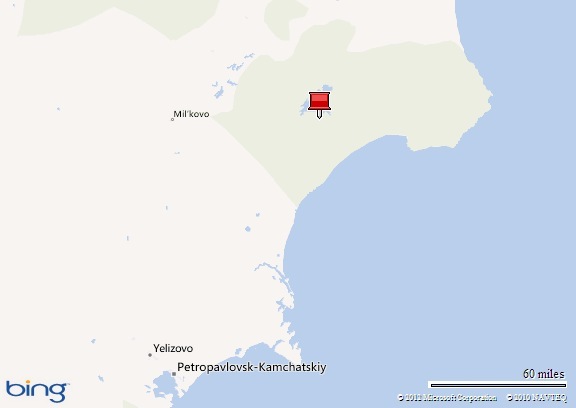 “Kamchatka is a very promising region,” – deputy director of the agency, Gregory Sarishvily, noted. He stressed that the Agency of tourism together with the authorities of the region was ready to lend assistance and support to Korean partners. “We looked through ski resort in the neighborhood of Seoul. This is a very modern complex with the developed infrastructure. I think that analogical complex will soon appear in Kamchatskiy krai. There are all conditions in Kamchatka to create a resort of international importance. Surely we won’t be able to build four grounds at once, but gradually we will manage to do that,” – Minister of sport and tourism of Kamchatskiy krai, Viktor Kravchenko noted. We still wonder why the governor, Russian Hydro Co. and Korean businessmen and officials all are so eager to destroy world Heritage Site and be responsible for violation of corresponding UN Convention? Rivers without Boundaries will closely follow this case to prevent destruction of the World Heritage Site. Man cannot wait to destroy everything on the planet. I see the greed everywhere. It will not stop until all wildlife and all forests and all the environment is gone. I feel very sorry for every infant born these days…..their future is bleak.